Why Thursday? Because everyone loves a great Prequel! And, quite frankly, because three days of Pikes Peak Writers Conference Just. Isn't. Enough. A Dead Body. A Literary Agent. An Editor. A Manuscript Midwife. Several Successful Authors. An FBI Special Agent. A Forensics Expert. An FBI Profiler. A Coroner. A Sheriff. Paramedics. A Psychologist. A Sociologist. Publicity and Marketing Experts. Did I mention the corpse?! It is no secret that Pikes Peak Writers hosts one of the best Writing Conferences in the country. Our volunteers put their hearts into making PPWC the most memorable and educational event possible. We do our best to make conference accessible and remove roadblocks for as many potential attendees as we can. Sometimes, the amount of information we want to provide is just too much for our main Friday, Saturday and Sunday conference days. Unfortunately, it is sometimes unfeasible to take three days out of our busy lives to attend conference. For some, the workshops they wish to attend during conference leave them wanting a little extra push or preparation. The Prequel is our solution to all of these problems and more. If you want to polish your query letters, your pitch or fine tune your manuscript, we have a Prequel track just for you. Are you drowning in the world of Social Media but have no idea what to say or how to use these tools effectively? We are throwing you a lifeline. Are you pondering that big question: “Should I go the route of Indie Pub?” We have the experts to help you decide. Do you feel that fiction is the main focus of writer cons, but you are more interested in non-fiction? No worries. We've covered that, too. Are you tired of Hollywood how-to's and want to learn what happens at a crime scene in the real world? We are dying to help. Do you want to know how the experts analyze the criminal mind to identify suspects? Let us give you a clue. Do you want the conference experience but aren't sure if you can afford it? Can't swing three days off from work or away from the family? Maybe you are attending conference but want a little more. Our volunteers are striving for publication just as you are, so we understand the importance of honing your craft and networking. Most of us have 'real' jobs, families, responsibilities, obligations... so we also understand the financial set-backs and time commitments that are faced when considering a conference. We have done everything in our power to make PPWC a realistic option for you. The PPWC Prequel is available as a stand alone day or as an add-on to the full conference. If you are registering for the 2014 Conference, you can attend the Prequel on Thursday at the discounted price of $85.00. If, for any reason, you find yourself unable to attend 2014 PPWC, for $135.00 you can attend the Prequel only. Both prices include your choice of workshops, a box lunch and the opportunity to meet and network with some amazing people in the world of writing. Now, if you are thinking that I am just a PPWC volunteer who is trying to sell a conference, let me tell you a little about my conference experience. PPWC 2013 was my first. Before that, I was a lonely, struggling writer who had a head full of creative ideas and no clue what to do with them. Who am I kidding, I wasn't sure if some of my ideas could be safely or legally talked about out loud. I was prepared for a life of solitude, hiding in a dark basement with cheap wine, day-old coffee and only the voices in my head for company. Since attending PPWC last year, my writing has improved exponentially. The people I met have become friends, supporters, colleagues. Not one day has passed since last April without receiving words of encouragement. The lessons I learned at conference were incredibly valuable. However, the connections I made have been long-lasting and their reward immeasurable. No matter how many days of conference you attend, it is one of the best things you can do in support of your dreams. The PPWC Prequel on Thursday, April 24th, 2014 isn't just a date on a calendar. It is a chance, a tool. It's an opportunity to improve your writing, to meet the people who can make your dreams come true, to make new friends who will be there for you when you need support and encouragement... to join a family of writers who understand the struggles and triumphs of such a pursuit. Humanity needs dreamers. The world needs writers. Let us help you on your journey. 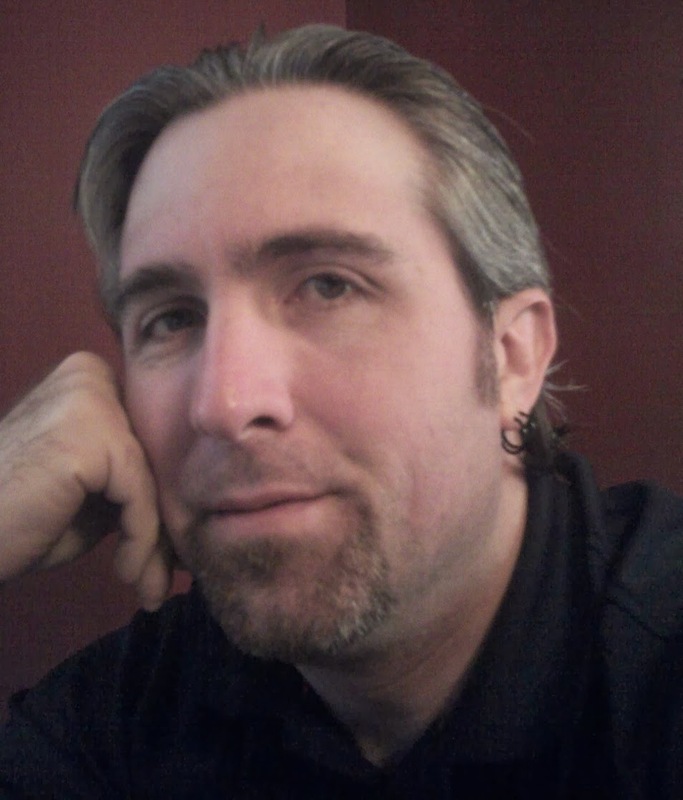 About the Author: Jason P. Henry, the 2014 PPWC Faculty Coordinator, has been busy helping an amazing team of volunteers plan the best conference ever. When not working with the dedicated and passionate people of Pikes Peak Writers, he is lost in the world of suspense/thriller and making best friends with serial killers, psychopaths and the insane. If you have questions you can reach him at faculty@pikespeakwriters.com, get more info on the 2014 PPWC Prequel at 2014 PPWC Prequel and more info on the 2014 Pikes Peak Writers Conference at 2014 Pikes Peak Writers Conference.